There are various ways to support the cause. T-Shirts is one way. 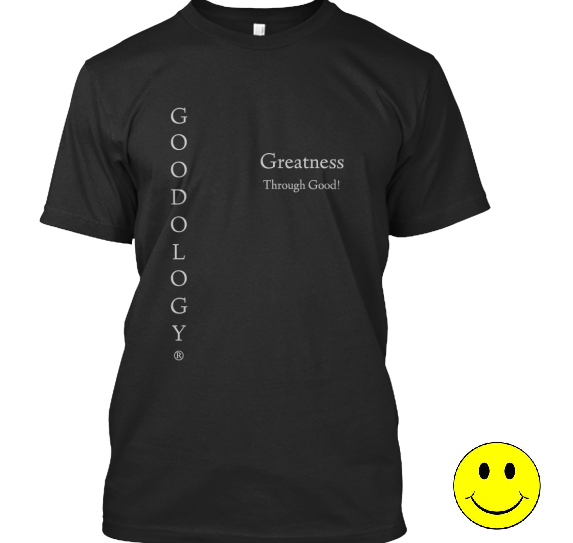 Sometimes I see a design of a shirt that I like, so I am inspired to create a Goodology T-Shirt and have them available for sale. Well, I have found a relatively easy way for me to do that. This is one design that has been made. I hope you like it. Order one for yourself. It’s here. 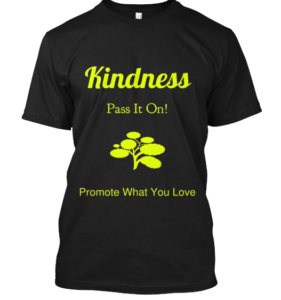 Kindness – Promote What You Love Shirts!